The theme of the day yesterday was simplifying. Loved it. SO what I have been needing in my life lately. 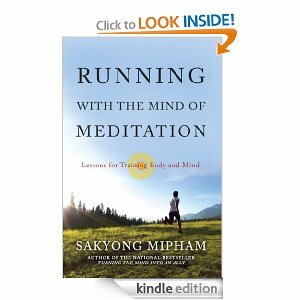 This is supposed to be a book with very simplistic, but deep, messages on running and life and the mind body connection. Stay tuned for a complete report when I’m done reading it! And the last thing I did to simplify is something that has been needing to be done for a long time. Essentially pushing things that are no longer good for me away. And, truthfully, I feel very free and simple now that that is done. Love it. Shinedown’s cover of that song is pretty good, still not better than Lynyrd Skynyrd’s original. Also interested to see what you think of the book. Well see, shows how much I (don’t) know. I did not know that it was a cover. Regardless, love the words. I must be the only one in the world who hadn’t known about LS singing it. 🙂 Yes, tell me about Jakey! Hey! How can YOU embed in my blog and I can’t even figure out how to do this?? Tell me how! Now hearing this, I’ve heard it before. But I just loved the acoustic version that I listened to last night. And I love love love the words. Magic! I still can’t figure it out. 🙂 I’m blogging challenged.